Make a tee time and claim all of the benefits we have to offer! Call in your tee time up to 6 days ahead of time. Or reserve online. Times quickly fill up on our tee sheet and we do not want to miss seeing you. . . Schedule a tee time and grab your golf clubs! "The Remuda experience gets better every time I play!" * Green fees and cart rental are per person. Special discounts available for seniors (55+), juniors (17 and under), military and HAFB employees. Hazards: Trees, white sand bunkers, grass bunkers, ponds, mounding, retention areas, and shrubs. Wildlife Spotted: Water fowl such as geese, ducks, heron, egrets, and gulls, turtles, toads, song birds, killdeer, pheasant, fish, fox, and golfers. 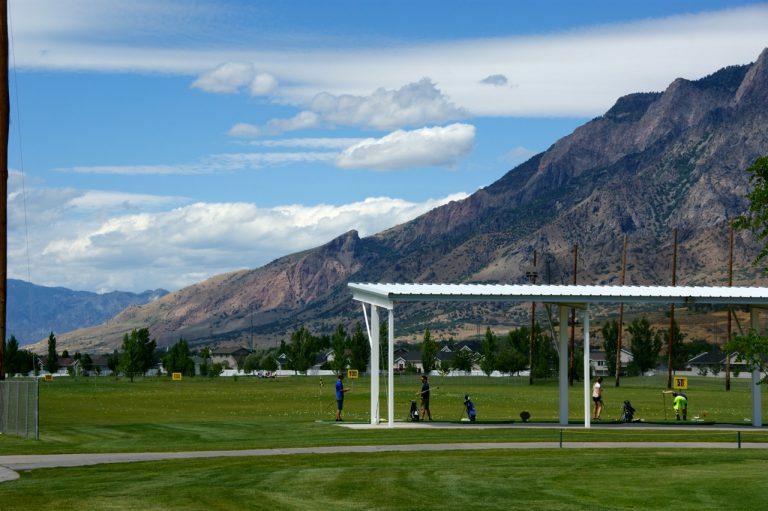 Other Features: Elevated tees, cement cart path, driving range with covered and grass hitting stations, electric carts, clubhouse, snack bar, equipment rentals, weekly leagues, tournaments, and learning programs. Remuda is a regulation, full sized par 72 course with approximately 4 hour and 15 minute rounds. There are four tees on every hole to match your driver distance. Red (forward), White, Blue, and Black (tournament. The word Remuda it is derived from the Spanish language and means a group or corral of working horses. Accompanying a Remuda is always a cattle herd. On expansive and long cattle drives the cowboys required a large number of horses. A Remuda of horses could reach into the hundreds. They were very valuable assets and were sometimes the target of horse thieves and Indians because of their great value. The word “Remuda” is not used as commonly today, mainly you hear it in John Wayne westerns and Louis L’amour novels. The choice for the word as course name was meant to conjure the spirit of the west and remind one of the awe-inspiring sight hundreds of thunderous horses might evoke. And nobody minds if you call us the work horse of golf courses. Our goal is to perfect your game and increase your enjoyment through lots of practice, lots of reassurance, lots of motivation and lots of fun. That is the essence of what our Remuda was designed for. Envisioned by Keith Downs (1931-2003), the course has wide open fairways and modern oversized greens to emulate the expanse of the western deserts and Rocky Mountains. Here you experience the freedom of driving your tee shots as far as possible, (imagine the cowboys driving cattle as far as the eye can see!) Keith designed a golf course that would allow golfer’s of all abilities to accurately play the game and gauge their skills without the course needlessly punishing good shots. Bridal up your team and visit your new Remuda of 18 thoroughbred golf holes. Escape to the serenity of the Farr west country side, conveniently located just minutes from two freeway exits near Farr West Exit 349, Willard Bay South Marina, and the Smith and Edwards surplus store. Q. What is a “Remuda” anyhow? A. The word “Remuda” comes from country western heritage. 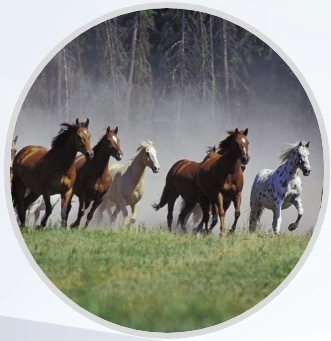 Derived from the Spanish language, it means a herd or corral of working horses. Accompanying a Remuda is always a cattle herd. On expansive and long cattle drives the cowboys required a large number of horses. A Remuda of horses could reach into the hundreds. They were very valuable assets and were sometimes the target of horse thieves and Indians because of their great value. Q. Can I host my own tournament at Remuda? A. Yes, Remuda has a 300 yard long driving range with grass and covered mat hitting areas. It is one of the few driving ranges around at that length. We also have an oversized practice green used for putting and chipping. Our golf instructors praise our practice area as a real advantage for their students. A. Yes, we are currently licensed with Farr West City and the State of Utah. Canned beer may be purchased after 10 am. No outside food or beverages, including alcoholic beverages, may be brought on to the course property as mandated by State law. Visit the clubhouse to view our full collection of products. A. Yes, except on Saturday or Sunday mornings. We have block rates for big events and hourly rates for small groups. We also include complimentary clubhouse use for tournament events. You can schedule an event by contacting Patrice Aland 801-458-0294 or the clubhouse front desk 801-731-7200. A deposit and signed agreement form will be required. Outside caterers may be used by permission only. Beer is available through the clubhouse, all other alcohol may be served by permission, but cannot be re-sold. Add-ons are available such as soda fountain drink rental and set-up. Events must be cleaned up by 10:00 p.m.
Q. Does Remuda host public tournaments? A. Yes, Remuda hosts a few public tournaments every year, including our famous Freedom Days Scramble and Monster Halloween Scramble. Weekly events are also hosted for members of the Remuda Golf Association (leagues). For more information click on the “Events” tab at the top of the page. A. Yes we host the Remuda Golf Association every season. Currently we have a men’s division, women’s division, senior men’s division, and couples division. We have a sign up day each year in March, but members can join at any time of the season. It runs from March-September. (Plus some post season events in the fall if the weather permits.) Each division has slightly different schedules. There is an annual membership fee. Each week there is a different nine hole events, and monthly there is an 18 hole Saturday event. Game fees are required each week you play, in addition to the regular green fees (or use a punch card.) Players do not need a UGA index as we keep in-house handicaps. More information available by clicking the “ASSOCIATIONS” tab at the top of this page. Q. What kind of course is Remuda? A. Remuda is a public course located in the Ogden area of Weber County (Farr West City.) Remuda was designed for golfers of all abilities with elevated tees, wide fairways, and oversized greens complexes. It is categorized as a Modern American Parkland style, or Mountain View style. It is comparable in length to other local courses such as Schneiter’s Riverside, The Barn Golf Club, and Ben Lomond Golf Course. 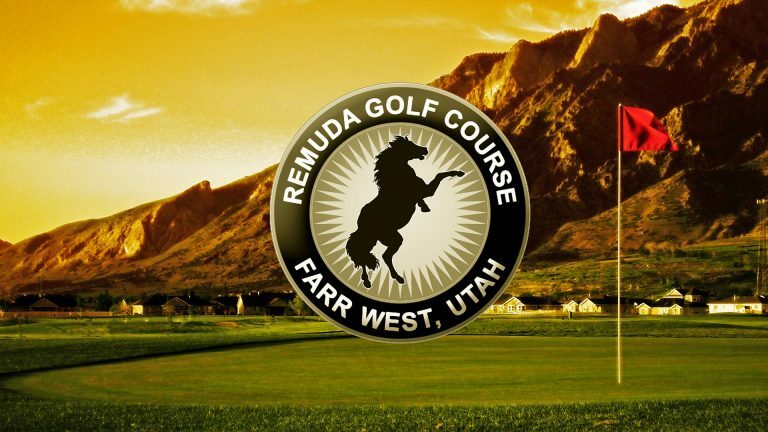 Remuda is not a municipal course like Mount Ogden Golf Course or Eagle Mountain in Brigham City. It is not a “links” course like Glen Eagle Golf Course in Syracuse. It is a privately owned course open to the public, with competitively priced green fees and many golf amenities to keep you entertained. Come visit for a full tour of the place. A. Remuda Golf Course is moderately difficult at 6,360 yards from the black tees and 4,400 yards from the forward gold tees. Average golfers don’t lose many golf balls, which is why a lot of people love golfing here. The terrain is generally flat with trees, bunkers, water hazards and mounds in the rough and around greens complexes. It is heart and joint friendly for walkers, but long enough that the majority of people ride carts. It has a USGA rating of 67.2 and slope of 97 which is subject to change each season. The trees come into play more each season.